Friend of YGF, Matt Breuer of the Ponoi River Company is looking to fill a hostess/assistant manager for the Ryabaga camp for this upcoming season. He wanted to let the small section of the internets that follows YGF know about a very unique and interesting opportunity to work in the Kola Peninsula this year. Spread the word. For 22 years, Ponoi River Company and Ryabaga Camp have successfully operated the finest fly fishing camp in the world in terms of service, hospitality, and quality of fishing - attracting 80% of clients to return. The invaluable and interactive role of Camp Assistant Manageress/Hostess is crucial to the success of a quality experience for clients at Ryabaga Camp. Client service and satisfaction are of critical importance to ensure repeat business. Participating in hosting efforts to achieve maximum client satisfaction. Analyzing staff activities and client feedback to provide input for strategic planning and camp management. Functioning as a liaison between management, staff, camp, and clients. Directly supervising staff including those involved in the operation of kitchen and camp infrastructure. Prioritizing the client by extending all amenities to make each client’s trip as valuable as possible. Delegating and monitoring workflow and directing the staff involved. Maintaining the highest level of customer service and resolving conflict as required. Engaging in communications with Murmansk, Helsinki, UK, and US offices when necessary and as required. Ability to interact with staff, clients, and suppliers in an effective, professional, and pleasant manner. Ability to prioritize and manage simultaneously. Bachelor’s degree; ideally in the area(s) of Outdoor Leadership, Outdoor Education, Recreation Management, Hotel Management, or Service Industry. Strong knowledge of hotel, bar, and kitchen operations. Knowledge of international travel and fly fishing. Proficiency and experience with Microsoft Excel, Microsoft Word, data entry, etc. Valid US Passport with at least 4 clean pages, and a validity of at least six months past October 2012. HIV screening and medical testing (required by Russian Federation in order to be granted a work visa). "You can't fish this. This is my property, I am fishing it today." The home owner who erected the sign above is a newcomer to the river, one of those guys who has arrived to the valley in the last 10 years. 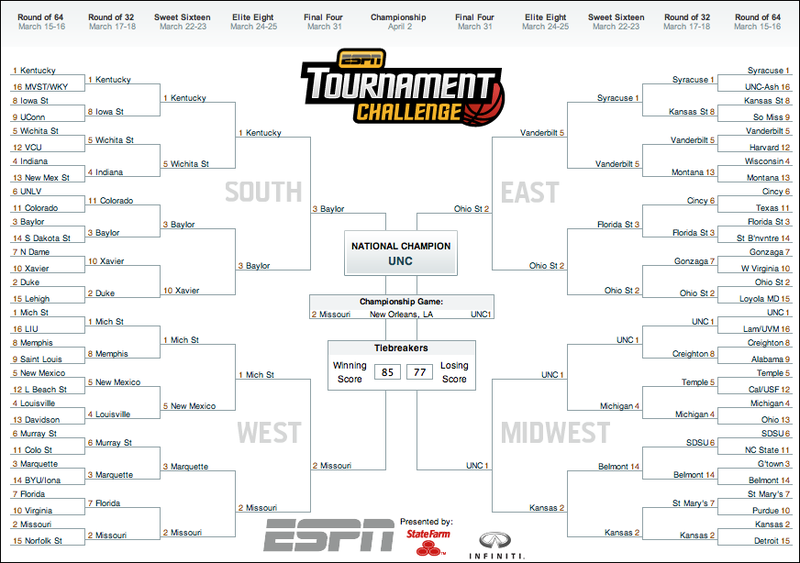 He reigns from Colorado, where the laws are different from that of Montana. The slick in front of his house was renamed Prick Slick, because of how this guy treats anglers who walk the bank (below the high water mark). In fact, I was there the night this name was conjured up and it was a result of how this guy treated us as we snuck by the pool full of rising trout that he was fishing to. No, we didn’t spook the fish or fish to them, in fact, we gave the guy a wide berth and didn’t fish 100 yards above or below him – even though he called us various names and threaten us, all because we were on “his land”. Joe goes on to explain how it is good river etiquette "to give an angler ample room as to not spook the area he/she is fishing...sometimes called 'high banking'. Walking 20-30 feet off the bank, keeping a low profile, just get around another angler is good etiquette. Some folks call this trespassing; others call it an unwritten rule of the river." This post struck a chord with me and reminded me of an encounter I had with a "land owner" on the Big Hole about a mile upstream of Browne's Bridge this past summer. I have been fly fishing four trout for more than 3 years now. Certainly not a long time, but, between field work and angling time, I have spent my fair share of time on the water. My fly fishing mentors schooled me in the ways of the river. I subscribe to the same school of good river etiquette as Joe. How to respect the land, the fish, and our fellow fisherman. In Montana, we are lucky enough to have a recreation-friendly stream access law. An access law that allows the public to use rivers and streams for recreational purposes up to the ordinary high-water mark. But, some land owners (in-state and out-of-state) don't seem to have a clear grasp of the stream access law or practices in good river etiquette. It was late August or early September 2012. I was fishing the east side of the Big Hole upstream of Browne's Bridge. Bucko was working the river from the west bank. With an extremely high runoff earlier that spring (...and summer), the high water mark was well above the high bank. As I progressed upstream, tossing streamers to some unwilling browns on a blue bird day, I noticed a fisherman working some rising fish from the inside bend. Not wanting to "high bank" him, I followed an established path (that was still below the high water mark) a good 30 to 40 feet away from the bank to move upstream. As I walked the foot path, I heard a shout. "Hey, this is my property," the man yelled. I walked over to the bank to talk to him. From the opposite side of the river, he shouted "You can't fish this section today. This is my property, I am fishing it today." He continued to pontificate about his version of the Montana stream access law, telling me that I was breaking it. I was comfortable in my assessment of the high water mark. He told me that my only option was to walk downstream and stop fishing "his" section. I tried to explain my actions and let him know that I was within my rights to access this section of the river. But, reasoning with this California vacation home owner was a lost cause. Good river etiquette was thrown out of the window. Words weren't going to communicate my point. I let my actions speak and showed him the alternative to me walking an established legal path along the opposite bank. Even with the "gentleman" across the bank, I crossed the Big Hole 5 feet below the water he was fishing. The fish stopped feeding. I walked up his side of the bank. I crowded him so as to "stay within the high water mark." After walking about a quarter mile upstream, I looked back. He was talking with his friend and pointing in my general direction. Was he going to call FWP? If only I was that lucky. The fishing was no good that day. I was game for a chaperoned discussion with a FWP officer and that "good sir." Here is a google map depiction of the Big Hole incident. Let me know what you think. Was I in the right? the wrong? or the grayest of areas? In the Missoula valley, this winter has seemed unseasonably warm. Looking back at the last couple months, I can remember one true and very brief cold snap (in the single digits). For most of the winter, I thought these relatively warm conditions in the valley would translate to less than stellar snowpack in the mountains. But, all the rain we have experienced in the valley have translated to dumps of snow in mountains. These less than scientific observations aside, the snowpack relative to average has been steadily rising since January. As of March 19, 2012, western Montana's snowpack is healthy. 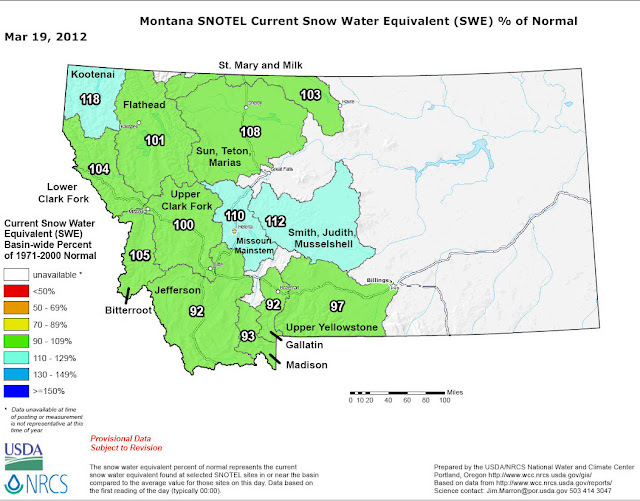 Most of the state's major watersheds have at least 100% snow water equivalent relative to normal snowpack. The upper Clark Fork and Bitterroot have 100% and 105% snowpack relative to normal. Here's to hoping that in the next couple months the high elevations continue to receive and hold snow and we get another healthy runoff with good water conditions into the summer and fall. It is often said that a good pair of polarized sunglasses are a fisherman's most important piece of equipment. With good reason, most of us can't smell or hear fish under a couple feet of water. 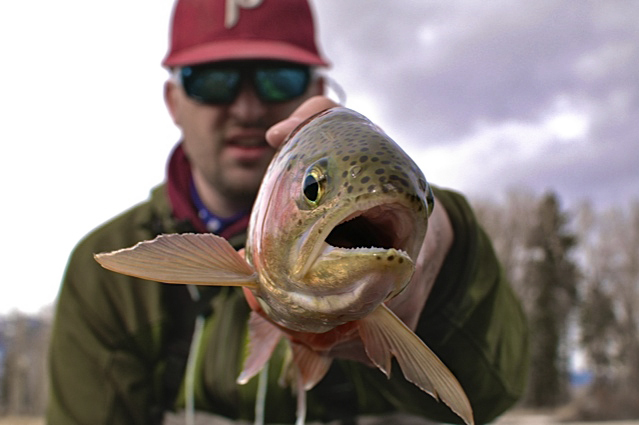 Without a good pair of polarized sunglasses, those feeding trout are hidden from the prospecting fly fisherman. For the last couple years, I wore a schmedium-sized, substandard quality pair of polarized sunglasses. It showed. On more than one occasion (read an uncountable number of occasions), Bucko would start talking about fish stacked up in a run or riffle. I would stare at the water, through the water, to the water and saw nothing. Meanwhile, Bucko was catching and landing the beasts from what I thought was the mysterious deep. 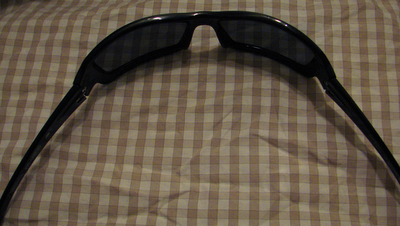 In the beginning of the year, I received a pair of polarized glass lens sunglasses. It changed my perspective, I could see holding fish everywhere I went. The underwater world opened up to me. 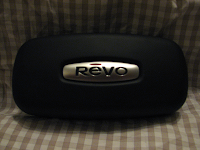 Even more recently, Revo offered me the opportunity to test out a pair of the Revo Bearing Water Lens Polarized Sunglasses. I was more than happy to take the Revo Bearings out on the water. The Revo Bearings come in three different lens tints: graphite, bronze, and water. I chose to test and review the Water Lenses. The Water Lenses allow 10% of light to transmit through the lenses as compared to the 13% light transmission associated with the graphite and bronze lenses. According to Revo, "the Water Lenses cut back blues, and allows greens and reds to come through in environments with abnormal amounts of blue making it great for ocean and deep water wear." Test Conditions - Range of weather and water conditions that the Revo Bearings under which were tested. In order to fully test the Revo Bearing sunglasses, I begrudgingly fished in a variety of light conditions from early February through mid-March. From cloudy and snowy to sunny with a little bit of partly cloudy weather mixed in, I fished in everything. With a couple warm and rainy days, I even got the chance to fish in some slightly off-color water on the Bitterroot. To me, there are three things that are most important with regards to a pair of polarized sunglasses for outdoor activities, especially fly fishing: 1) the quality of the optics 2) fit and comfort and 3) durability. Here are my impressions of the Revo Bearing sunglasses after more than a month on the water and around town. The Revo Water Lens is a blue-grey lens with a blue mirror coating. Mirror coating deflects some of the light that hits the lens as a result, some light is not transmitted through the lens. 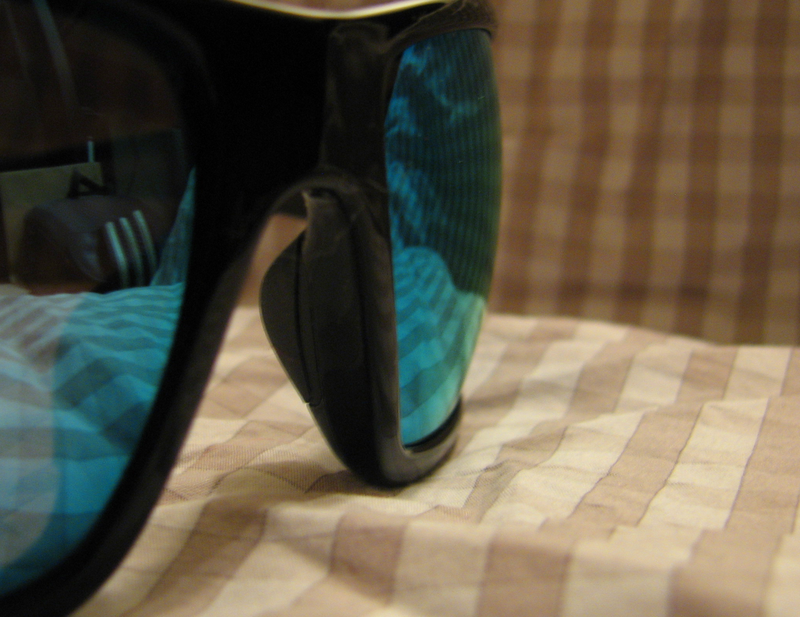 Combining the mirror coating with the 10% light transmission of the blue-grey lenses, the Water Lens should theoretically be excellent bright light condition lenses. During this first month and a half with the Bearings, the lenses lived up to the expected bright light condition performance. These glasses really "shined" during blue bird days on the water. That was too be expected. I was very surprised with the glasses performance on partly cloudy and cloudy days. I expected my polarized, copper-tinted glass lens sunglasses to outperform the Water Lenses during these lower light conditions. They didn't. In many cases, I found the Revo Water Lenses to be more effective in comparison to the glass lens polarized sunglasses during these partly cloudy and cloudy conditions. I have a medium-large to large sized face, depending on the brand. The Revo Bearing frames are considered mid-sized frames. They fit my face extremely well. You know how some t-shirts fit better than others? 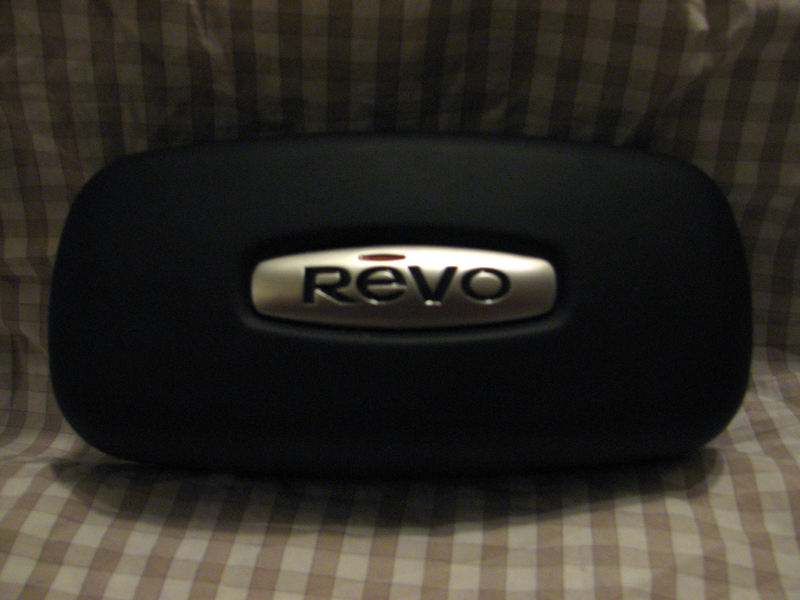 If the Revo Bearing glasses were a t-shirt, it would be my favorite, best fitting, and most comfortable t-shirt. I experienced no issues with pinching, fatigue, or the dreaded facial imprinting. The spring hinges allow the glasses to hug your face in a gentle, yet firm manner. The glasses don't feel heavy on the face. In fact, I barely notice that they are on while fishing, driving my the car, walking around town, and applying for real life jobs. With the spring hinges, polycarbonate lenses, and nylon frames, the glasses feel sturdy. I have yet to drop them (and I don't plan on doing so in the near or distant future), but I have a great deal of confidence in these glasses ability to hold up to a little abuse. The nylon frames are flexible, but not too flexible. They maintain their designed form, while allowing for a little give here and there. As an aside, the spring hinges are ingenious. It is the little things that add up to something extraordinary. With the spring hinge, there is an element added durability and flexibility that I have yet to encounter in sunglasses at a variety of price points. I think the glasses are really, really, really, ridiculously good looking. I am not much of a "fashionista" (fashonistas out there, is that the correct usage of the term "fashonista? "), but I like the look of these glasses a great deal. They have replaced my previous everyday sunglasses....as my everyday sunglasses. really, really, really, ridiculously good looking? yup. After a month and a half on the water, in the car, at work, at the flyshop, and at school, I have been very impressed and pleased with the Revo Bearing sunglasses. With an excellent set of polarized lens and a flexible and durable frame, I think the $189.00 price tag is very fair. They aren't the cheapest sunglasses by any means, but it matches up well with competing brands by price. 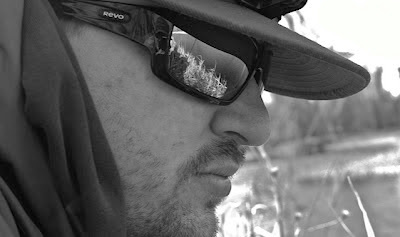 I would recommend these glasses to an angler looking for a high quality pair of polarized sunglasses. Imaginary YGF seal of approval has been stamped on these Revos. Do you want to see the sunglasses on the water? Check out my most recent video, The Leprechaun and the Yeti. Here are some stills of the sunglasses. Thanks to Anthony from False Casts and Flat Tires for the images of the glasses in action. What I see right before I put them on. Oh yeah, it comes with a protective case and a cloth. As any real pair of sunglasses should. DISCLAIMER: The Revo Bearing sunglasses tested in this product review were provided to me at no cost, but hold a retail value of $189.00. I currently hold no association with Revo whatsoever. As with this review and all future reviews, I will do my best to offer up my honest and unbiased opinion, good or bad. Some fishing partners are tall. Some are short. Anthony of False Casts and Flat Tires is the Leprechaun. I, apparently, am the Yeti. A couple of days of fly fishing on the Bitterroot. We got into some solid rainbows and browns, but nothing too extraordinary. Things are heating up, but we could have said that about the entire winter. Although, it is good to have some dry fly fishing on the horizon. Some guest appearances from Alec of Fly Fishing Life and Cody of Oakfish in the beginning and end of the video. Wu-Tang Clan vs. The Beatles "City High (Instrumental)"
I went a little crazy on the effects this time. Messed with the saturation and the shadows/highlights. Let me know what you think of the effects.